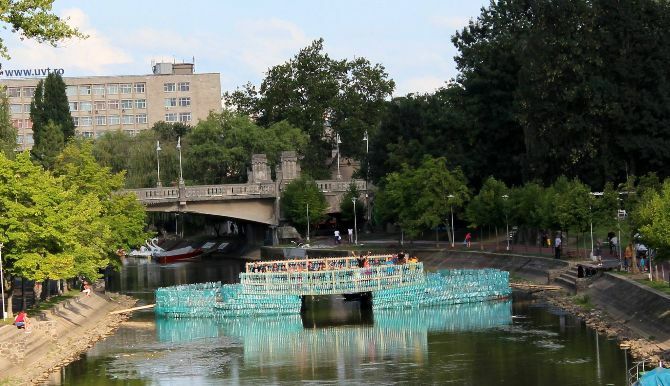 A bridge made of over 100,000 plastic bottles was placed over the Bega Canal in Timisoara, in western Romania. This was an initiative of EcoStuff Romania, which wants to include the construction in the Guinness Book of World Records. 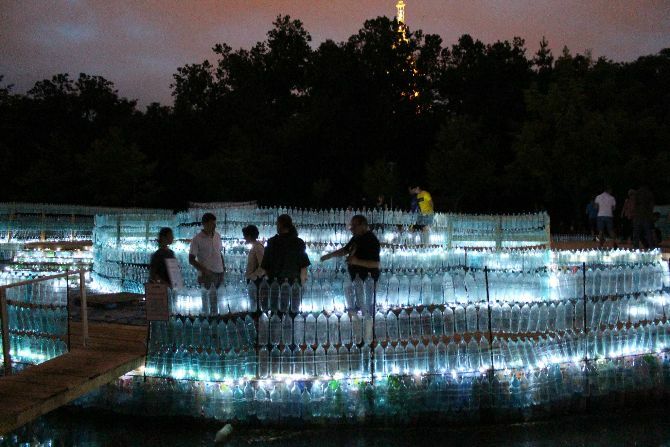 The bridge was made of 104,502 plastic bottles of all sizes, and volunteers have helped the EcoStuff Romania team make it happen. Wooden boards have been placed on the upper side of the bridge so people can walk on it. The bridge has a round shape, stairs and railings, and it’s illuminated at night. People are warned to not smoke while on the bridge, women are not allowed to wear heels, and the access of unaccompanied children is strictly forbidden. 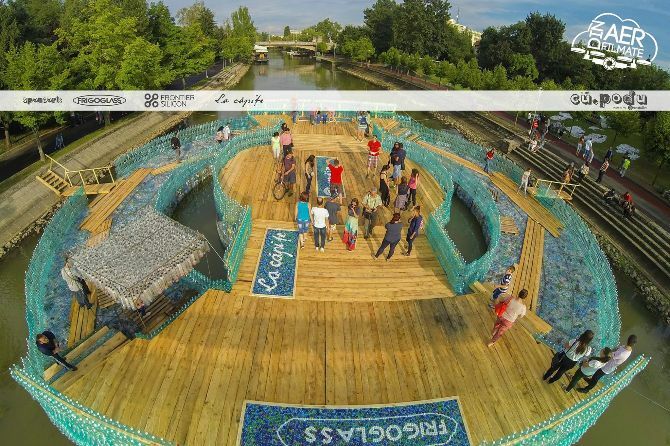 Through this project, EcoStuff Romania also wants to draw attention to pollution of rivers with plastic bottles. Several events, such as concerts and shows, will be organized on the bridge every day for the next two weeks, after 21:30.